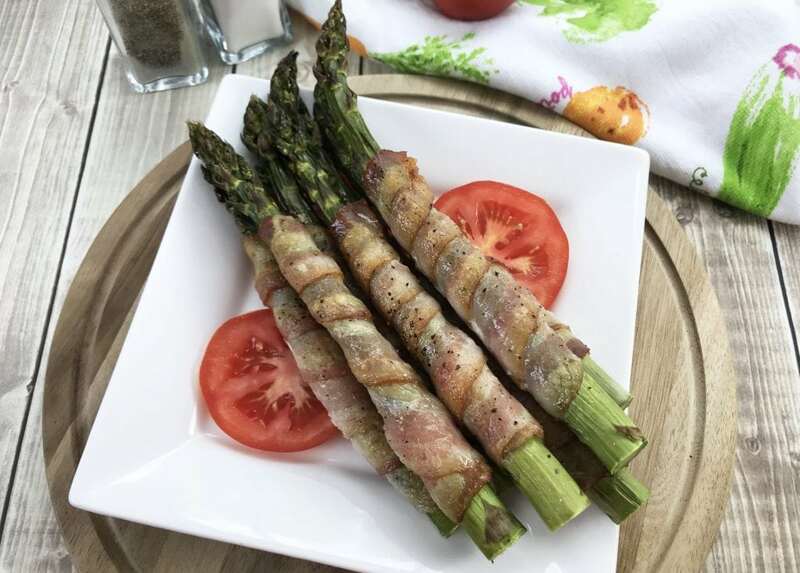 This Bacon Wrapped Asparagus Recipe makes a delicious appetizer or side dish that is Keto and Paleo friendly. 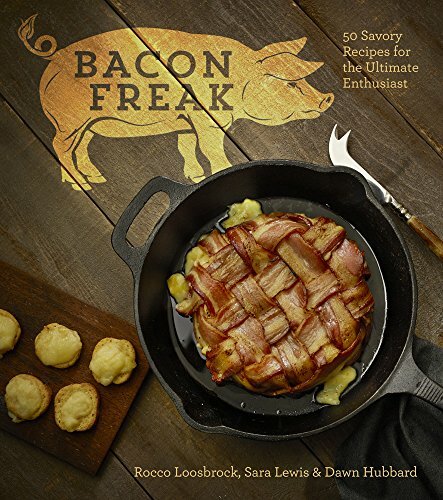 Do you want a delicious side dish or appetizer that will be sure to rock the socks off everyone at the dinner table? 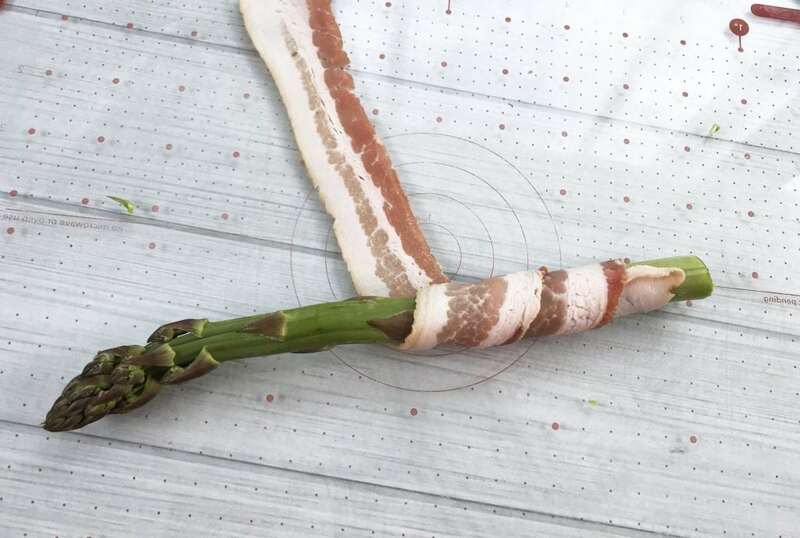 You’ll love this Bacon Wrapped Asparagus Recipe because after all, you can’t go wrong with bacon. With just a few ingredients, simple asparagus spears turn into a wonderful side dish or appetizer. 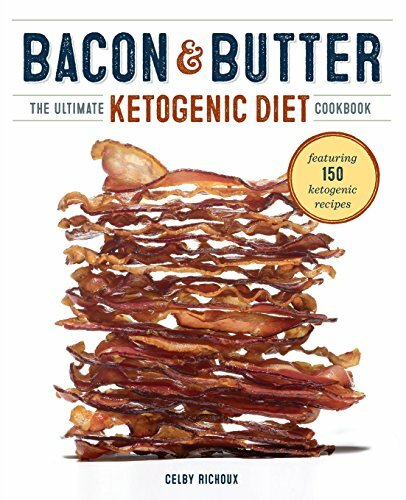 These are Keto or Paleo friendly, so enjoy them without the guilt, too. 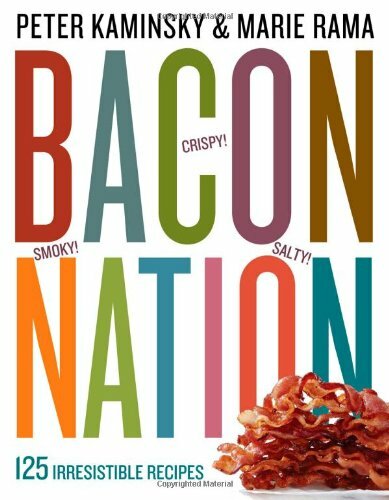 Try these delicious spears with a side of ranch or barbecue sauce for dipping for an extra treat. 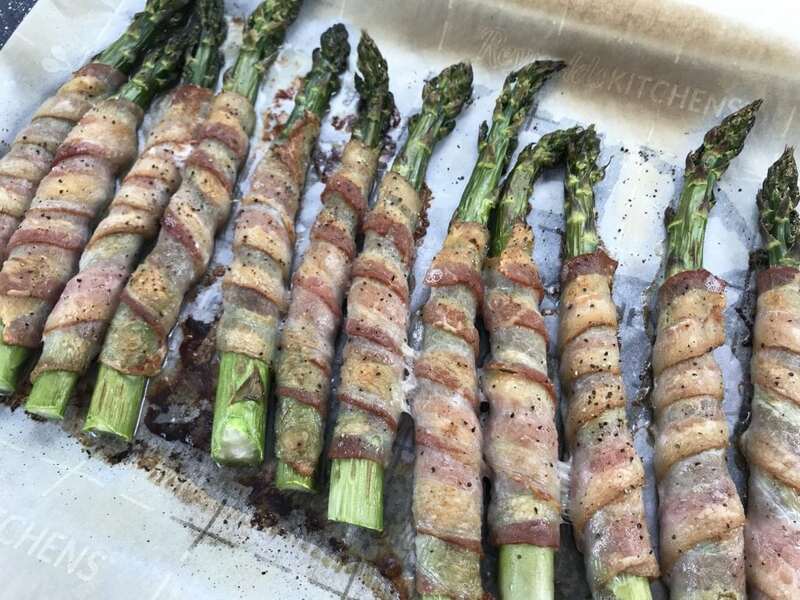 These spears can be baked in the oven, made in your air fryer, or grilled. 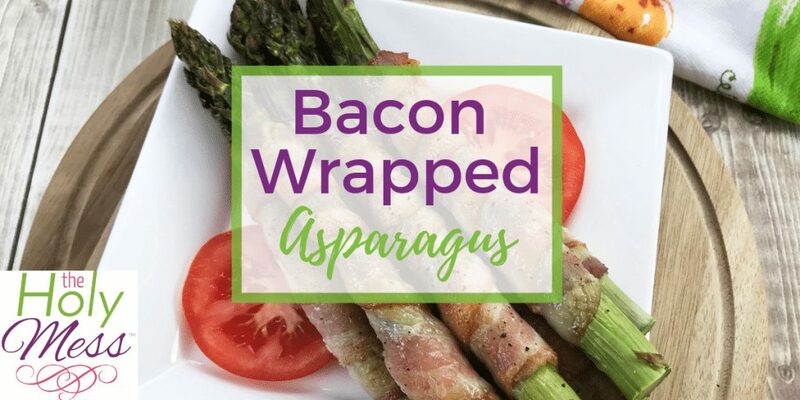 This delicious bacon wrapped asparagus is a delicious side dish or appetizer your guests will love. 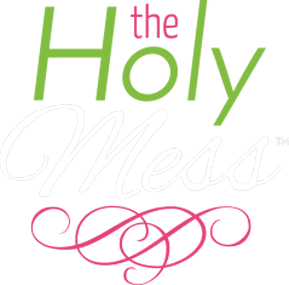 Preheat the oven to 400 degrees and line a large baking sheet with foil or parchment paper. 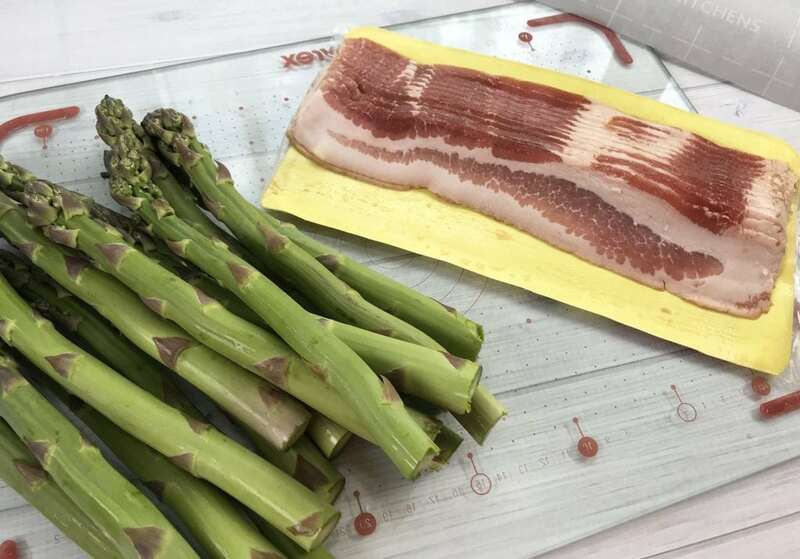 Trim the ends of the asparagus and gently wrap each spear in 1 piece of bacon and place on baking sheet. Repeat with all the asparagus spears and season with pepper. 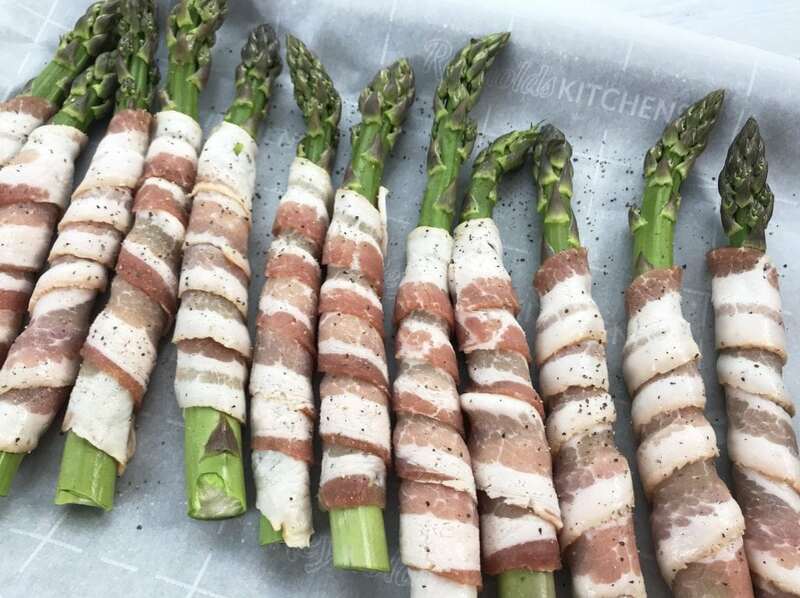 Place the bacon wrapped asparagus under the broiler a few minutes to crisp up the bacon. 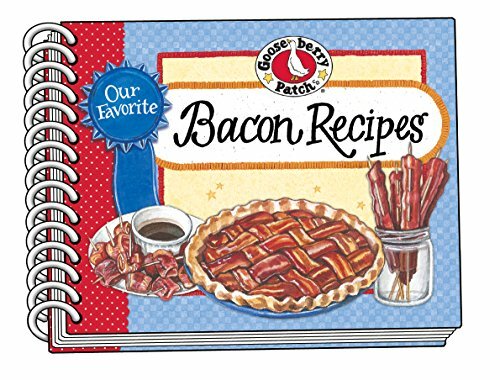 Serve with fresh tomato slices. What’s your favorite asparagus recipe?